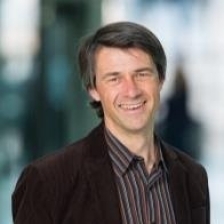 Graduated at Neoma Business School and trained to management at Centrale Essec, Christophe ESCHENBRENNER is a Digital, Sales and Customer service innovation leader. He has joined Alstom in 2011 to launch ecommerce activities for spare parts and repairs. Then he jumped to 3dprinting R&D with a view to make exclusive design, cut costs for small batches and ease supply chain. He is currently IOT and BIGDATA program manager, within Smart Mobility innovative team. Boost by an entrepreneurial mindset, he is known to have a global vision and drive change, beyond technologies boundaries.